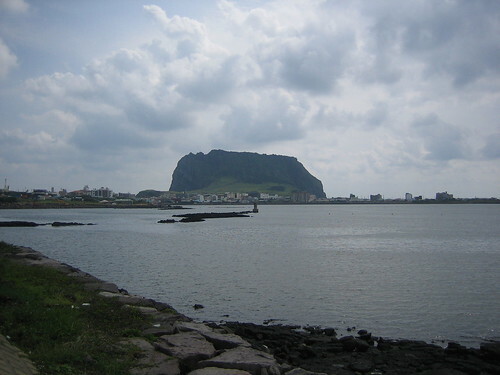 Jeju has many characteristic things, nice people, fresh fish, black pig samgyeobsal, you name it. 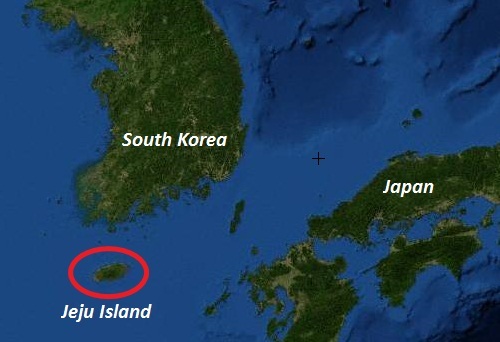 Also, on the island, a kind of Korean dialect is spoken. Even though the do use Hangeul as writing system, this language is so different from Korean that not even Koreans from the peninsula are able to understand it. 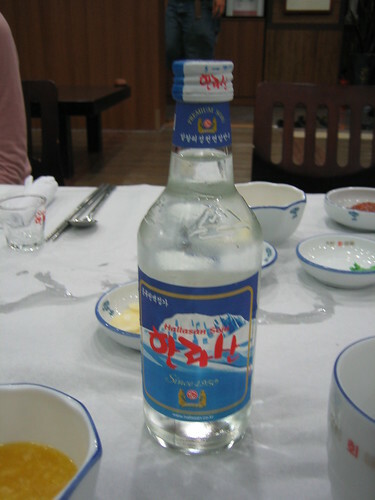 Hallasan soju (soju is the Korean national drink) is undoubtedly the best I have ever drunk. In Seoul it is quite difficult to find it, and even I heard that it is forbidden to sell it in Seoul since some local soju brands complained about it (I don’t know if that is true or not, but what is clear is that Jeju soju is quite better than that from Seoul). The Seongsan Ilchulbong, o Sunrise Peak for foreigners. It is a crater that during sunrise is considered one of the most beautiful scenes you can see in Korea. You can see much better pictures than this one here. 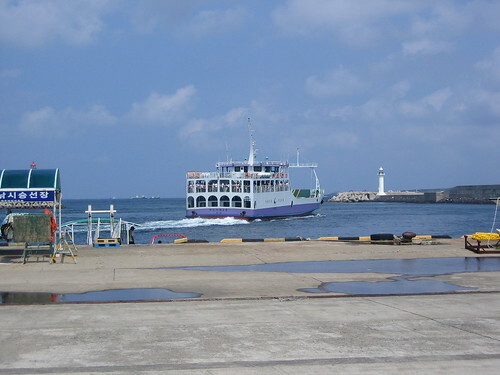 From Jeju you can take this ship (you can take your car if you rent one) which in about ten minutes will take you to Udo, another island even smaller and prettier (I will talk about this island in the next post). 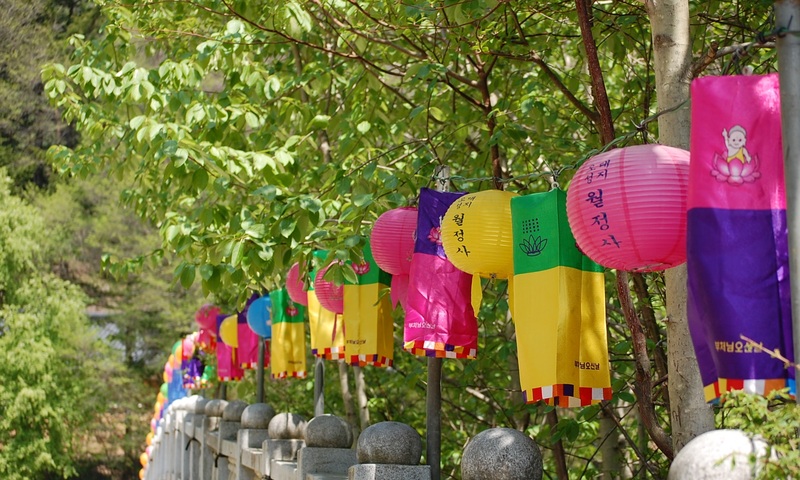 Jeju is also the preferred destination for many in-love and just-married Korean couples. When these couples travel, it is a must to wear these couple-t-shirts. 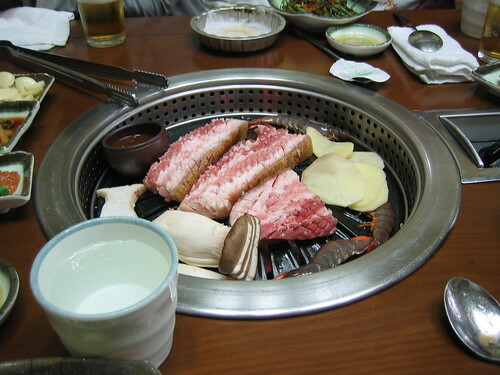 Jeju’s black pork is delicious! One of the things that makes it different from the samgyeopsal you can eat in Seoul is that in Jeju it is eaten with the skin. Of course, we couldn’t leave the island without livint its nightlife. 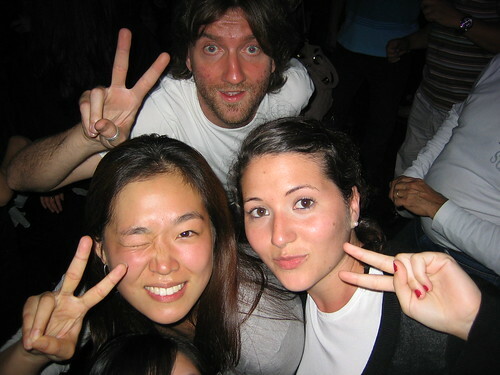 Thanks to Shienna and one of her uncles, we could go for free to one of the biggest clubs I have ever been. 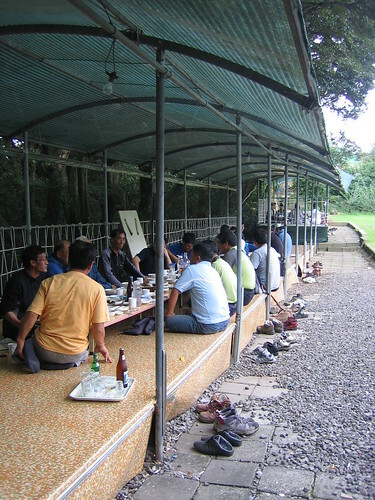 In our last day in Jeju, we went to eat pheasant, another typical meal of Jeju. This is the restaurant where we had lunch. Like most restaurants in Korea, you have to eat on the floor and with your shoes off.